Wherever there are books, you’ll find fascinating people, visible and invisible.. I know exactly what Allende means, because my house– or really wherever I find myself– is also crowded with literary escapees. Look over there in the kitchen– Mma. Ramotswe is having tea with Nancy Drew, and they are no doubt swapping stories of their brilliantly solved (and frustratingly unsolved) detective cases. Up in the library, Alyosha Karamazov is debating ethics with Sidney Carton. What opposites they are! But each is quite noble in his own way, well suited to such a chat. Meanwhile, off in a corner somewhere, Francie Nolan is curled up with a book. She still reads one every day, just as she always has. It’s a wonder anyone can hear themselves think, with all that noise Ramona Quimby and Pippi Longstocking are making down in the basement. I might have to send Viola Swamp down there if they don’t “hold it down to a low roar,” as my Daddy used to say. I’m guessing that your house is also full of people who have entered your life through books. If so, remember Allende’s observation that the library has exponential numbers of such fascinating company. If you’re ever feeling lonely, a trip to the library is a sure remedy. But you might not have to go that far. Who is hiding in your own home, within the pages of your books? Would that all who debate ethics would conduct themselves nobly! Fortunately, the Pevensies are present, and helping to hold it all together (years as kings and queens can help cultivate diplomacy). In fact, Peter has some good advice for Hamlet…. I loved Trixie Belden, although I didn’t get to read all of her books because my library only had a few. Last year I reread all the Donna Parker books. Some of them I didn’t acquire until adulthood, on Ebay, so it was the first time I read them in order! Now I’m reading Cherry Ames, Student Nurse, and will gradually go through Cherry’s whole saga. Here’s a connection: Julie Campbell Tatham wrote some of both the Cherry Ames and Trixie Belden books — so can we say that Cherry and Trixie were friends 🙂 ? Susan, I never read Cherry Ames, either. Neither our public nor school libraries would carry those or the Nancy Drew books, because they deemed them not literary enough. Probably that only increased their appeal for many kids, and maybe that was part of the idea. 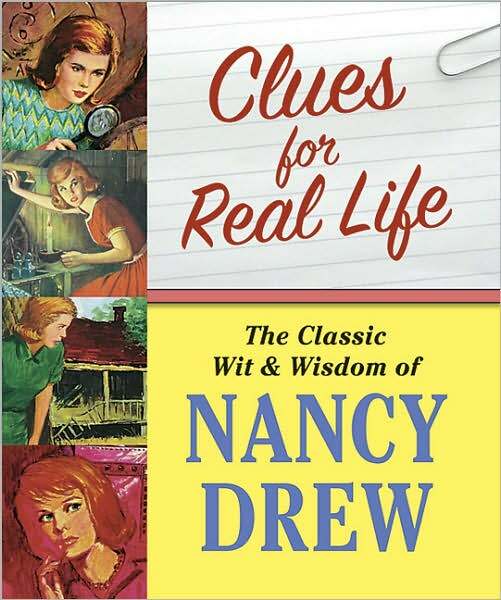 🙂 I only owned a few Nancy Drew books, and had to swap around with my friends for those. Still, I knew about Trixie Belden and Cherry Ames, probably from seeing them in bookstores. I’m sure I would have loved them. Yes, it sounds like Cherry and Trixie were friends if not relatives! Isn’t that amazing about Julie Campbell Tatum living so close by? Perhaps we can dream of meeting some of our favorite authors in the afterlife. Meanwhile, their work lives on for us, and that’s something for which we can ALL be grateful! Julia, I have my Williamsburg badge and T card in my bag, I had so been hoping to get there this month! Awww, I wish it could have happened. However you did have a very full schedule. Probably we need to plan WAY in advance, but in the meantime, you can keep them as a souvenir! Hope you’re enjoying springtime. It’s beautiful here. Hi Chris, I hope that the wizard was able to grant your request. Remember, he’s a very good man…he’s just a very bad wizard. 🙂 Have a great week! Lovely post, and of course there are many hideaways in my home, and they move with me like treasured members of my family! Recently a friend and I swapped books, so the cast of Bel Canto seized my friends’ home for a while, but now they are back in my own care, where I will gladly defend them in order to keep them alive! Z, that is my favorite of Ann Patchett’s books. She’s a good writer and I’ve enjoyed several of her books, but I think Bel Canto is her best. That’s quite a cast to keep an eye on! Isn’t it wonderful how our literary friends move with us wherever we go? 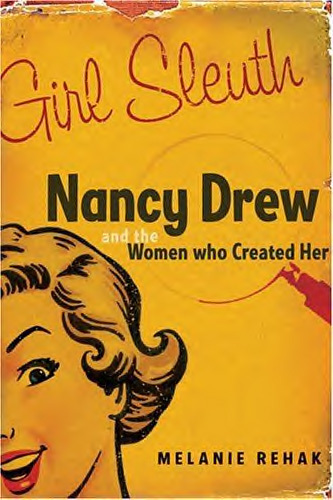 Nancy Drew was my best childhood friend – smart, witty, and full of joy. My greatest fear was that there would be an end book. My most favourite room is a room full of books!! Have you seen this book? I think I gave it to my sister for Christmas a few years ago. Also, if you haven’t read this one, you might really enjoy it, as I did. I agree, a room full of books beats any room with no books, no matter how luxurious it might be. 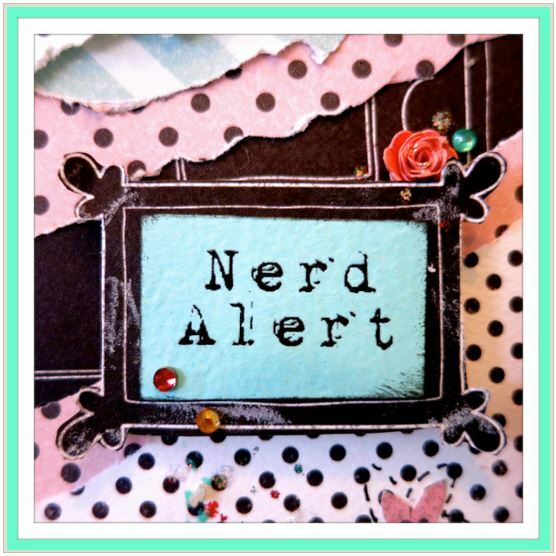 I just found Girl Sleuth on Kindle!! Thank you! Thank you!!! I will continue looking for the other. Good! I hope you enjoy it. Thanks Denise, I’m glad you like it. Years ago we saw a wonderful Christmas play called the Nut Carol. It was about Dickens writing A Christmas Carol and Tchaikovsky writing The Nutcracker. They were seated at opposite sides of the stage and were surrounded by their characters who were loudly giving instructions to them as they wrote, and arguing with each other about plot, etc. It was really a fun play. Yes, it was. Since that time I’ve tried to find it being performed elsewhere, but I can’t find anything at all about it on the internet. I wonder if it was a student production (we saw it at a college) that was never even published. hmmm, seems like it would have become popular! Thanks, Alan! I’m glad you like it. They may have escaped from somewhere but Thankfully they find sanctuary in my heart. Yes, they really do become part of our lives. I wonder how many books have been written about Abraham Lincoln. He was fatally shot 154 years ago, this very night. Within an hour after the assassination, Mary Lincoln summoned Mary Jane Welles to the Petersen House. Mary Jane, the wife of Navy Secretary Gideon Welles, was one of Mary’s few friends in Washington. They had bonded over shared sadness: In 1862, Mary Jane had helped nurse 11-year-old Willie Lincoln until he died of typhoid fever; the next year, the Welleses lost their 3-year-old son to diphtheria. On the morning of April 15, Lincoln’s death room emptied of mourners (including Gideon Welles) save one: War Secretary Edwin M. Stanton, whom Lincoln called his “Mars, God of War.” Stanton was an imperious and widely feared cabinet secretary, but he had loved the president, and the assassination was for him a profound personal tragedy. Alone with his fallen chief, Stanton cut a generous lock of the president’s hair and sealed it in a plain white envelope. He knew who deserved the memento. After signing his name on the envelope, he addressed it “For Mrs. Welles.” When she received it later that day, she inscribed the envelope in pencil in her own small, neat hand: “Lock of Mr. Lincoln’s hair April 15, 1865, M.J.W.” Mary Jane Welles mounted the lock in an oval gold frame, along with dried flowers she collected from Lincoln’s coffin at the April 19 White House funeral. The card securing the relics in place behind their glass cover was calligraphed to testify that they were “Sacred to the Memory of Abraham Lincoln 16th President of the United States.” This isn’t the only surviving lock of Lincoln’s hair. Mary Lincoln claimed one, as did several of the doctors present at the Petersen House or his autopsy. Others were purloined from Lincoln’s head, and one wonders how he made it to the grave with any hair at all. But the Stanton/Welles lock, with its unparalleled provenance and interwoven tales of love and loss, is perhaps the most evocative one of all. Wow, thanks for this fascinating true story. Yes, countless books have been written about Lincoln, but I wonder how many of them are read anymore. There’s an old saying that “truth is stranger than fiction” and in the same way, people who really lived are often far more complex and interesting than fictional characters. Thank you, Eric, for sharing this personal, touching story. It’s always nice to “see” you here!